You are either about to fall victim to the Crypto VirtNext scam, or you have already lost your money using VirtNext. Now you want to know how to get your money back. Well if you already lost your money then there is nothing to do, read about complaints here. Crypto VirtNext Pays for Endorsement! They show on their website that they are recommend by reputable looking names. And sadly, some review websites have been telling their traders to use the VirtNext product. What reliable website would recommend a worthless product? Have a look at the Quantum Code. It is a new name for Virtnext. Another interesting fact you may want to know is that there is another software called Cobalt Code, which is the exact same product, just with a different name. When reviewing the Virtnext system, we see that the “trading signals” are just random numbers. If you watch the software you will see it changing its mind every 60 seconds. You may want to ask your dog to do a coin toss for you, Heads is a CALL and Tails is a PUT. Basically, instead of investing in a real trading software for Crypto Currency, they put more effort into there marketing videos. This is because the company was never actually written about in the news. All those articles they show on their site are actually fake pictures. Just do a search on Google News for Crypto Virtnext, and you will not find any articles about them! Who is the broker that they are connected too? Do you know that 90% of Crypto brokers are unlicensed offshore scams! A trading signals software like VirtNext randomly assigns you an account at a broker. 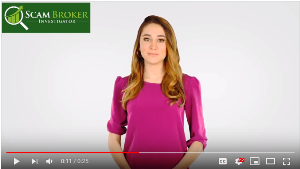 Since you believed their video, and fake testimonials, you also fall for the trap of using a scam broker. There is a reason we have over 100 reviews of Forex & Crypto Brokers look here. So that you can verify that the broker you want to trade at is licensed and regulated. If you are really interested in trading Crypto Currencies, then first find a licensed and regulated broker, look here. If you want are interested in automated trading robots, then read this article about “Choosing The Best Trading Robot“.